Jonathan J. Ruffin, 31 years of age, Address-James St. Morgan City, La. was arrested on 02/07/2019 @ 8:30 am. Jonathan Ruffin was placed under arrest at the Morgan City Police Department for active warrants he held for the 6th Ward City Court. Ruffin was booked and incarcerated. Jolene Frye, 35 years of age, Address-Marin St. Patterson, La. was arrested on 02/07/2019 @ 2:21 pm. Jolene Frye was a passenger in a vehicle involved in a traffic stop in the area of Seventh St. A warrant check was done on Frye and it was determined that she held an active warrant for the St. Mary Parish Sheriff’s Office. Frye was placed under arrest and transported to the Morgan City Police Department for booking and incarceration. 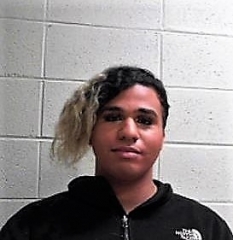 Drevin M. Willis, 20 years of age, Address-Prairie Rd. Franklin, La. was arrested on 02/07/2019 @ 9:32 pm. An officer observed a vehicle at the intersection of Fourth and Everett St. fail to yield to oncoming traffic nearly causing a vehicle crash. 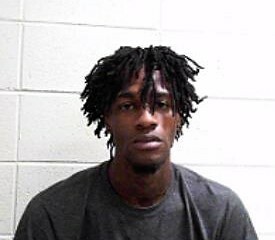 A traffic stop was conducted and the driver, Drevin Willis was asked to produce a valid driver’s license. Through the course of the traffic stop, Willis was found to be in possession of suspected marijuana. Willis was placed under arrest and transported to the Morgan City Police Department for booking and incarceration. Roderick A. Hunter, 27 years of age, Address-LA Hwy 182 Morgan City, La. was arrested on 02/07/2019 @ 4:22 pm. 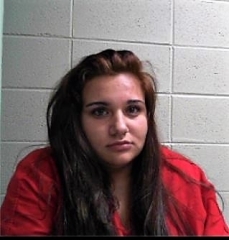 Kearsten Richard, 19 years of age, Address-LA Hwy 182 Morgan City, La. was arrested on 02/07/2019 @ 4:22 pm. The Morgan City Police Department Narcotics Division conducted a search warrant at a residence on LA Hwy 182. Upon entering the home, officers came into contact with individuals identified as Roderick Hunter, Kearstin Richard and a small child. During the course of the investigation, officers located pills identified as Xanax that was packaged for sale. Also located in the home was suspected marijuana, methamphetamine, drug paraphernalia and pills identified as sulfamethoxazole and trimethoprim. A warrant check revealed that Hunter held an active warrant for the 6th Ward City Court. Both Hunter and Richard were placed under arrest. The child was released to a guardian. Hunter and Richard were transported to the Morgan City Police Department for booking and incarceration.